Author: Carola Lentz. Series edited by: Beatrix Heintze, Karl-Heinz Kohl. 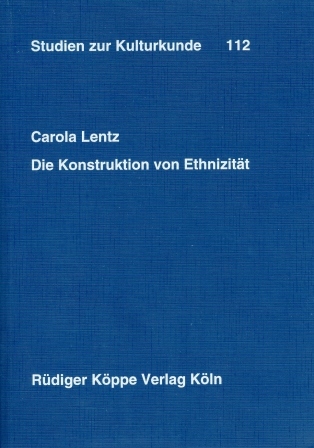 From the Contents (all texts are in German, titles are translated into English for better understanding): Local concepts of social belonging and territoriality - "Inhospitable, barbarous tribes": The Northwest between Zabarima incursions and British rule (1870-98) - "Civilising a thoroughly wild and uneducated race": The colonial pacification of the Northwest (1898-1906) - "Lobis", "Dagartis", and "Lobi-Dagartis": The construction of ethnic boundaries - "A praiseworthy desire to better their fortunes": The beginnings and development of labour migration - Of "totem clans", "priest-kings" and "invasions": Colonial debates on history and culture - "Light over the Volta": The mission of the White Fathers - "Looking for a 'tribe' called the 'Lobi'": New discourses on ethnicity - The post-war reforms of local government - "The time when politics came": The beginnings of party politics (1954-56) - The struggle for political hegemony: Party politics, chieftaincy conflicts and district boundaries (1956-62) - Lobby politics and ethnic movement: The organizational landscape of the 1970s and 1980s. In her book about the political history of the Dagara in Ghana’s Upper West Region, Carola Lentz studies these processes. She does so in a theoretically well-founded way, and at a historical and analytical depth that is breathtaking. [...] Lentz’ book is an extraordinary well-researched and rich study. Without devoting extensive space to reviews of existing literature, the book has a clear theoretical framewotk, that organizes the presentation of the massive empirical evidence. The publication of an English translation would allow it to make the impact it deserves. 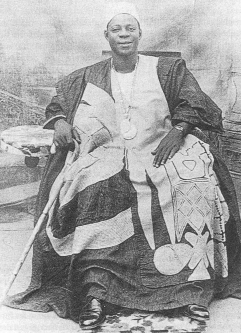 Central to this most remarkable book is the question of how ethnicity is constructed through historical processes and by different actors in the Upper West Region of northwestern Ghana. Taking a closer look at this question provides the thread to a fascinating, multivocal and extremely well investigated microanalysis. Chronologically, starting with the time shortly before the colonial conquest of the northern part of today's Ghana, Lentz compares and interprets archival sources, seminal ethnographic accounts and her own extensive research material, and thus presents a detailed and exciting study of the area's political development from 1870 to 1990. [...] But coming back to the present book, Lentz in my opinion succeeds in situating all these issues in a complex net of relations, tensions and historical developments, making this a unique monograph that clarifies why, when, how and by whom Dagara 'ethnicity' is constructed. Lentz weaves in citations from interviews and archival files, statutes and articles of associations, speeches and biographies, and at the same time never forgets to equip the reader with detailed comments enabling him or her to follow her thoughts. I very much hope that this book will soon be available in English translation, making it accessible to a wider range of readers.